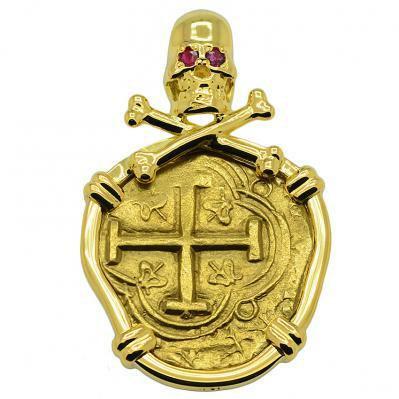 SOLD King Philip IV Two Escudos Doubloon Pendant; Please Explore Our Spanish Treasure Pendants For Similar Items. Mint: Santa Fé de Bogotá, Colombia. 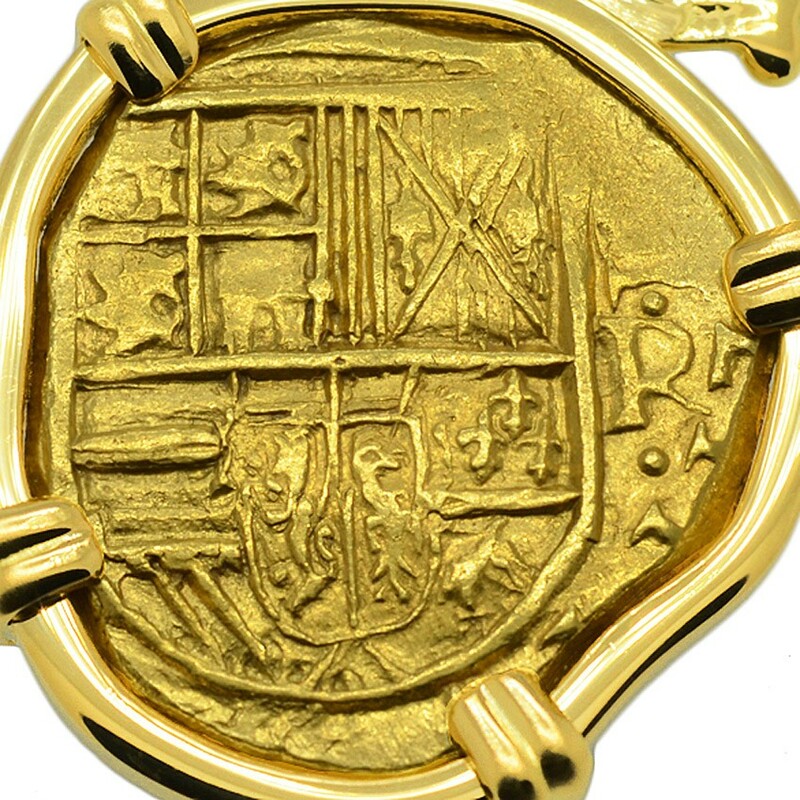 This 17th century Spanish colonial gold coin was minted in the "New Spain" city of Santa Fé de Bogotá. The Spanish founded this city in 1538 and the mint opened in 1622. The majority of gold coins minted in the "New World" were struck here in Bogota. 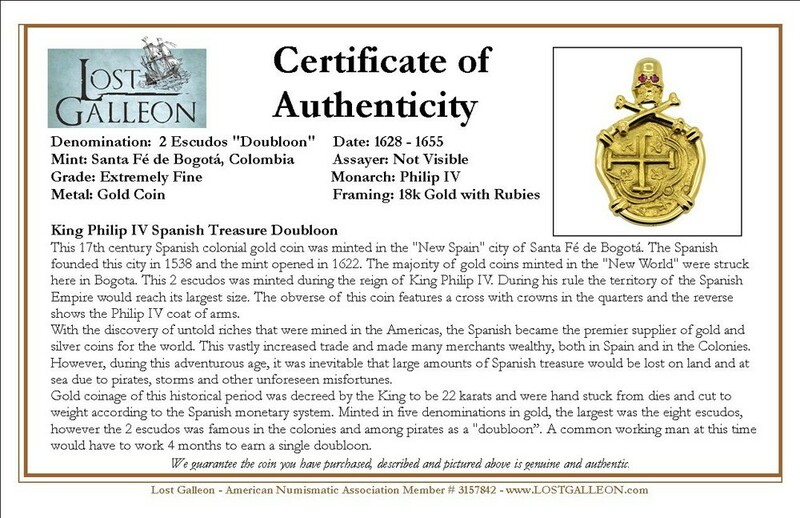 This 2 escudos was minted during the reign of King Philip IV. 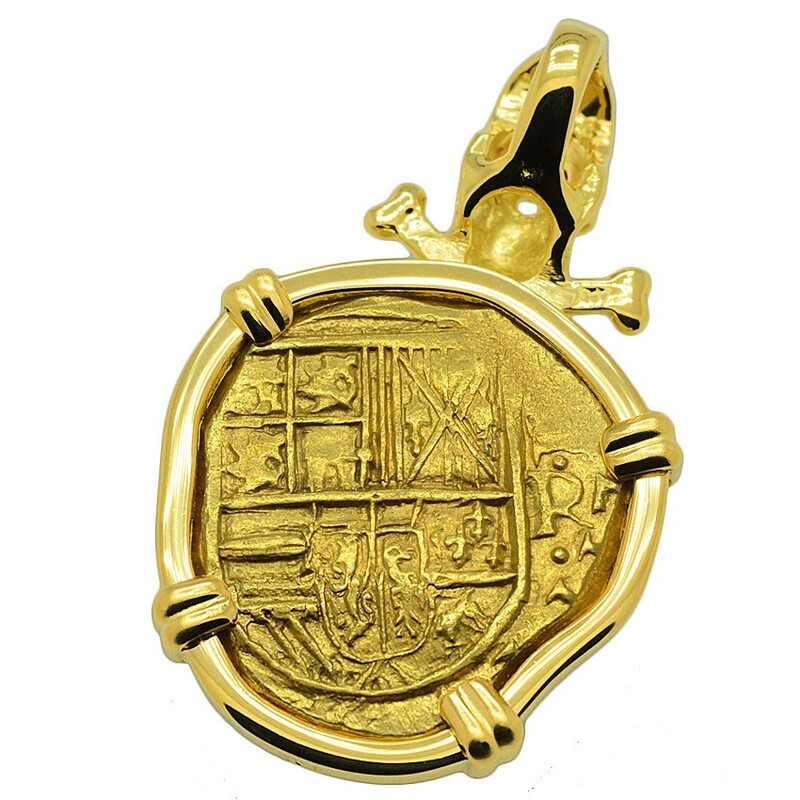 During his rule the territory of the Spanish Empire would reach its largest size. 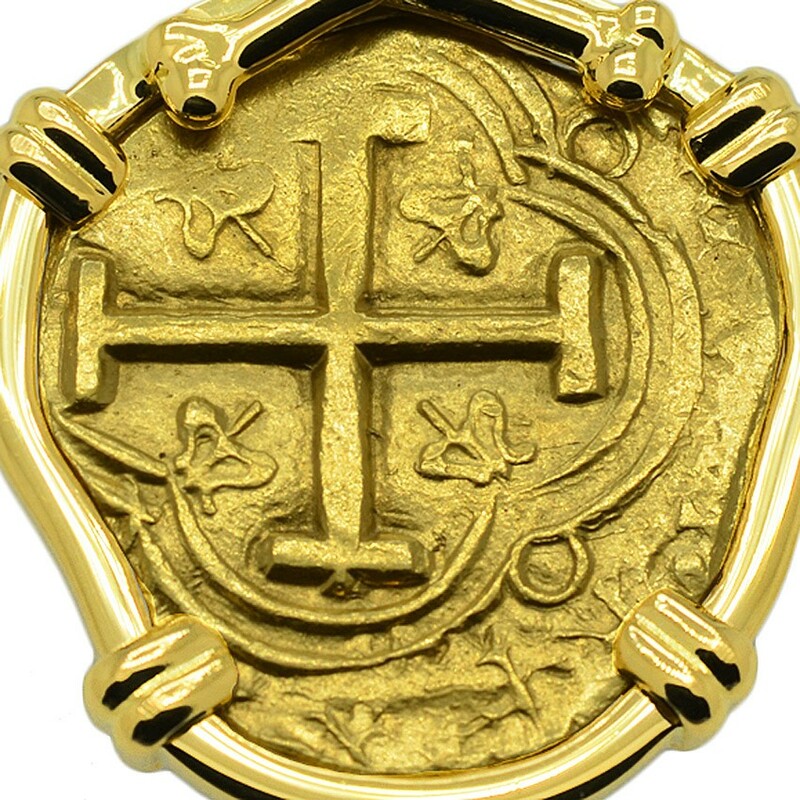 The obverse of this coin features a cross with crowns in the quarters and the reverse shows the Philip IV coat of arms.